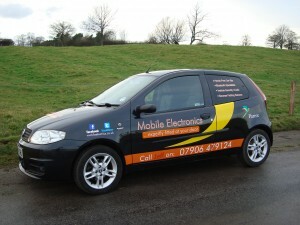 Welcome To Mobile Electronics We Are The North Easts Leading Hands-free/Parking Sensor Specialists. We offer a professional mobile service 5 days a week throughout the north east and can supply and install Bluetooth hands-free car kits, Parking sensors, Reversing Cameras, iPod intergration and many more aftermarket products The company is trained to VSIB standards and fully insured with over 23 years experience. We are the North East’s first choice for hands free, audio and parking sensor equipment for all kinds of vehicles. With more than twenty three years of experience in the automotive business, we are a reliable and knowledgeable choice for all your requirements. We supply and install products such as parking sensors, to reduce the risk of bumps and collisions when parking; reversing cameras; DAB radios and iPod speakers; daytime running lights to increase visibility and ensure other road users can see your vehicle clearly; and hands-free car kits to make your calls safer and easier. These are just a few of the many services we offer to help make your vehicle safer and more enjoyable to us. Among our many other products, we install car kits which make use of blue tooth for hands-free mobile use. It is illegal to use a mobile phone or similar device when driving, not to mention dangerous. If you are caught breaking this law you run the risk of a £60 – £100 fine, plus three penalty points on your licence. In some cases, you could even be disqualified from driving and be fined up to £1000, with even bigger penalties for bus or lorry drivers. Our blue tooth hands-free car kits allow you to make and receive calls legally without endangering yourself or other road users. 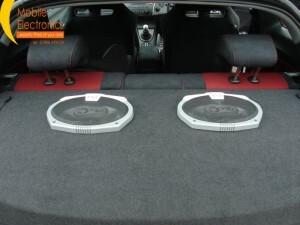 These kits can be fitted to your existing audio system, so they are simple and quick to install. 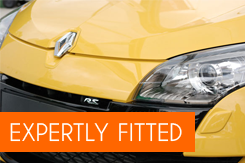 When it comes to your car, you want to be certain you’re using a company who will uphold the highest standards of work. Whatever service you require, we make sure to only use the finest quality products and materials so you can get a long-lasting return on your investment and enjoy using the systems for years to come. The service is comprehensive and we will always be happy to answer any enquiries you may have, from initial contact through to the completed installation. All installations come with a complete 12 month warranty. With a commitment to quality materials and outstanding workmanship, we always strive to make sure our customers are completely happy with the work. We aim to provide a convenient service for all of our clients, so we offer our services seven days a week across the North East. We are flexible and can tailor our services to fit in with your day, whether you are at home or at work. If you’re based in the North East and are interested in any of the great services we offer at Mobile Electronics, give us a call today and we will be happy to discuss your requirements with you. With services available even at weekends and out-of-work hours, it has never been more convenient to get the mobile vehicle equipment you need.